Daher kommen jedenfalls die Errors.. Ob Fehlerhafter Mod, Konflikt oder was ganz anderes kann ich ohne weitere Beschreibung aber nur raten..
Error: Can't load resource 'C:/Users/Hannes Kraus/Documents/my games/FarmingSimulator2017/mods/BresselLade201a/icon.png'. FillTypeMassAdjustment all fillType mass values have been updated. Note: This Log entry should only exist once, if you have several of these please check to make sure you don't have several FillTypeMassAdjustment Versions in your Modfolder. Error: Can't load resource 'C:/Users/Hannes Kraus/Documents/my games/FarmingSimulator2017/mods/MB_Trac_Pack/Texturen/dirt_normal.png'. 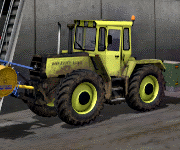 Error: Can't load resource 'C:/Users/Hannes Kraus/Documents/my games/FarmingSimulator2017/mods/FS17_flieglTMK266Bull_1/ns/dirt_normal.dds'.